Well, I finally got around to this. Why, do you ask? I guess I was just craving some light entertainment and I was hoping it would at least make me laugh. No such luck. 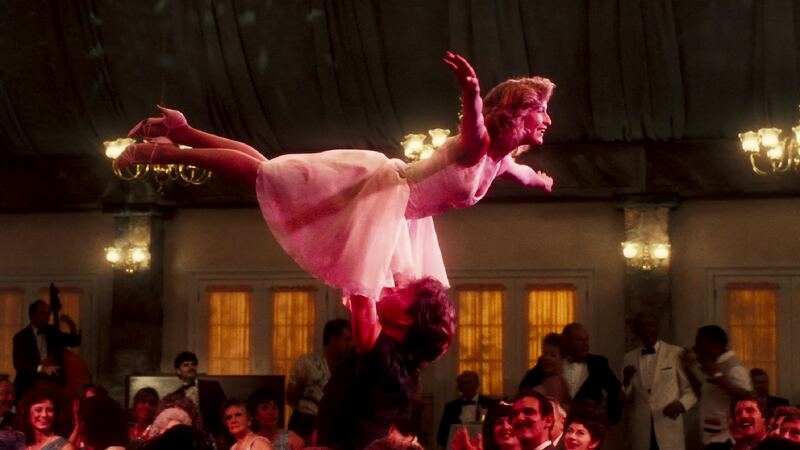 Dirty Dancing is not horribly bad. But it is so run-of-the-mill and lazy, that actually makes it worse. The story of a rich girl (Jennifer Grey) falling in love with a working-class dance instructor (Patrick Swayze) is the kind of stuff romantic dramas are made of, but everything is so flat – the dialogue, the direction, even the choreography of the “dirty dancing” sequences themselves – you’d be better off taking some mambo classes yourself, if only so you can stay awake. And I find that a little odd, being that it came out in several years after Fame (1980), Flashdance (1983), and Footloose (1984) had made their mark as energetic 80’s movies about whirling and twirling (maybe it needed a title that started with the letter “F.”) Plus, is there a more inane song than Bill Medley’s and Jennifer Warnes’ (I’ve Had) The Time of My Life? I know, a lot of people love it… and none of them will ever be my friends. I will admit one thing in the interest of full disclosure: I do like Swayze’s power ballad She’s Like the Wind. But that’s not enough to get Baby out of the corner.